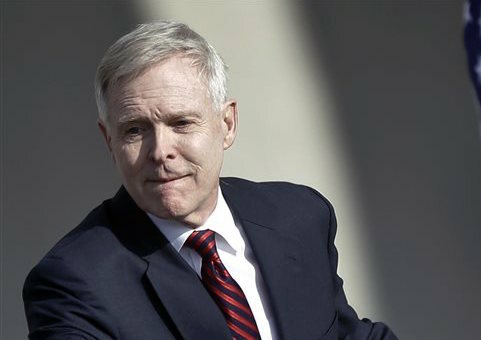 Retired Vice Adm. Doug Crowder criticized Mabus’ decision to name a ship after former Rep. Gabby Giffords (D., Ariz.), who survived a gun shot wound to her head five years ago and has been a leading voice advocating for stricter gun control measures. "It just doesn’t help at all for what the basic sailor or officer thinks of his chain of command, up to the secretary of the Navy," he said. "Is it catastrophic? No. But that’s the risk you run." "But I think you have to represent all the values that we hold as Americans, that we hold as a country. And so that’s why I’ve named ships the Medgar Evers, Cesar Chavez, John Lewis, the Harvey Milk. Because these are American heroes too, just in a different arena," he added. This entry was posted in National Security and tagged Duncan Hunter, Military, Navy. Bookmark the permalink.